The lots, currently on display in the auction house’s New Bond Street showrooms, range from gold lined bed sheets, gold infused daggers, a Dom Perignon gold Mathusalem to the golden head of supermodel Kate Moss entitled ‘Song of the Siren’ and a gold Ferrari. One lot that is distinctively un-ornate is the collection of 20 photographs taken by Sebastião Salgado of the Serra Pelada opencast gold mine in Brazil. Cast in black and white they resemble the biblical imaginings of Bruegel, as thousands of men scramble through the mire in the hope of finding gold. “I had returned to the dawn of time,” said the artist of his visit there in 1986. 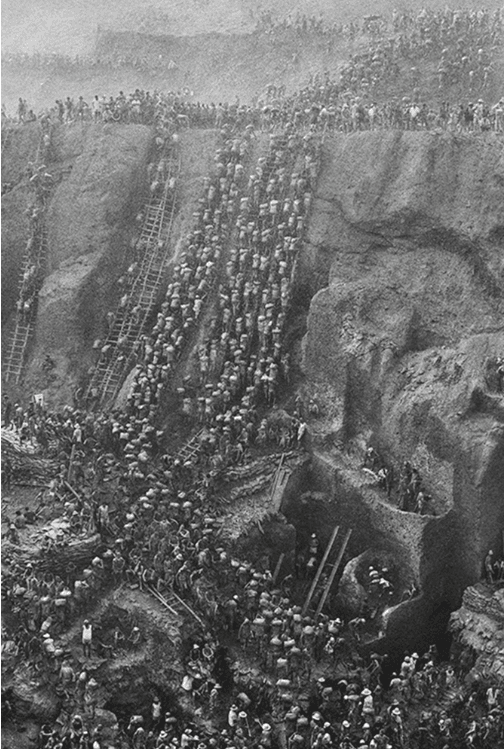 “There wasn’t a single slave, they were all slaves to the idea of getting rich.” When the miners discovered a seam of gold they had the right to choose one sack, says Salgado, in that might be a kilo of gold or nothing. Another lot is a centenary collection of the works of Ian Fleming, the pages are laid in gold leaf and the books include diamonds, crystals and pieces of eight set within the covers. The sale charts gold’s place from antiquity to the present, via George II’s christening gifts, Napoleon’s chair and Picasso; with Yves Klein’s Monogold sans Titre holding the highest estimate. 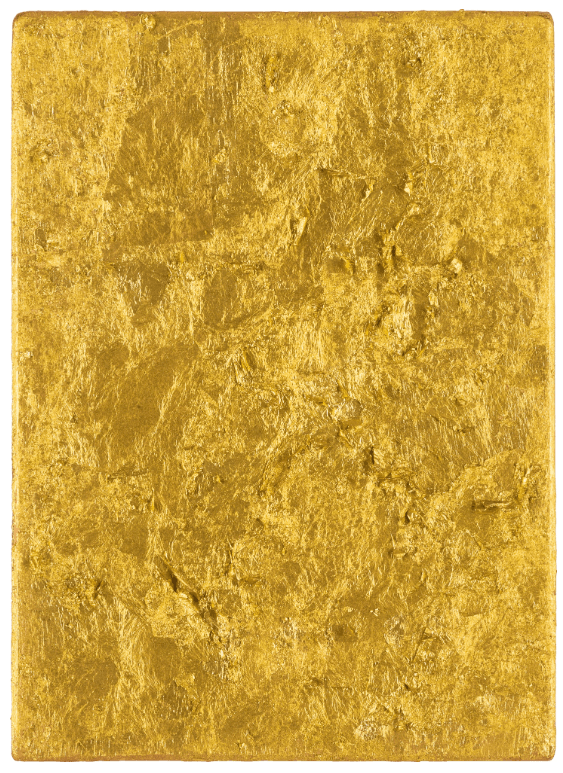 The canvas of solid but spatially flowing gold leaf, is expected to go for between £800,000 and £1.2 million. The auction takes place on Wednesday 17th October 2018.